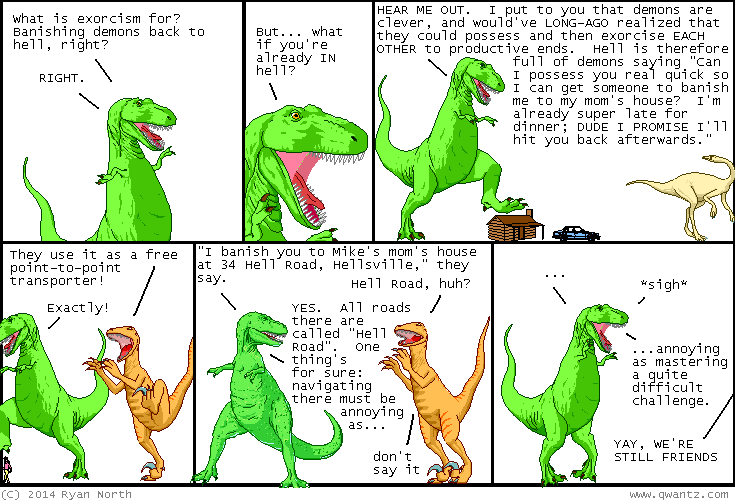 Dinosaur Comics - March 17th, 2014 - awesome fun times! March 17th, 2014: The Dig Dug comic I helped write is done now too, so you can read the entire thing! If you are in the market for a short survival-horror themed comic based on a videogame from the 80s, my friend, today is just a garden of flowers for you!